Your words can have an effect on your body. For example: When you say “it’s cold and I’m shivering,” you may actually start trembling, but if you say “It’s cold but I feel warm” you will find yourself doing just fine. Autogenic training (AT) is a technique that teaches your body to respond to your verbal information. Autogenic training is considered a form of self-hypnosis. These commands help your body relax and control breathing, blood pressure, heartbeat, and body temperature. After you learn the method, you can use it whenever you want relief from symptoms of stress, or you can practice it regularly to get the benefit of deep relaxation and prevent the effects of chronic stress. 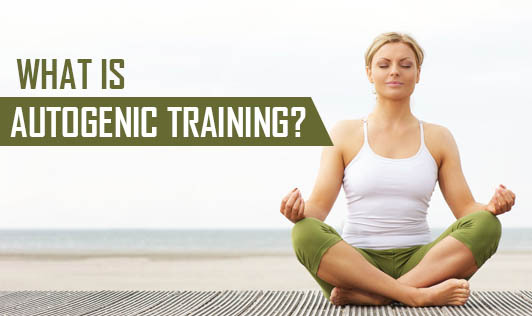 Autogenic training consists of six exercises that make the body feel warm, heavy, and relaxed. For each exercise, you get into a simple posture (sitting in a comfortable chair or reclining), concentrate without any goal, and then use visual imagination and verbal cues to relax your body in a specific way. You can train yourself in each exercise by reading about it or watching a teacher, and practicing it. The exercises allow communication to link the mind and the body, allowing you to manipulate body reactions that cannot usually be controlled, such as blood pressure, heartbeat, and body temperature.